Not having a Tracking System onboard your vehicle can mean that you are going to be paying a Higher Insurance Premium. With the recent rise in the theft of high value cars and 4x4s it time to protect your vehicle with a Phantom Tracker and Save Money on your Insurance. 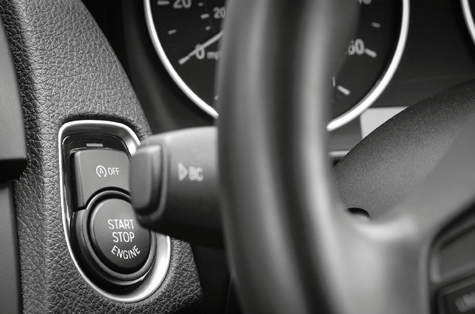 Keyless car theft is on the rise. And high-end vehicles, such as the Range Rover Vogue and the Range Rover Evoque are being specifically targeted. Gone are the days of the humble, opportunist car thief, equipped with nothing more than a simple screwdriver looking to pinch your Punto. These days, car crooks have got smart and gone upmarket. Why are Range Rovers being targeted? These tech-savvy criminals are targeting Range Rovers to meet the increasing demand for high-value vehicles in Eastern Europe and Africa. Vehicles such as the Range Rover Sport and Range Rover Autobiography are being stolen to order. And often just for their high-spec parts. Many of these luxury 4x4s are being dismantled before they even leave the UK. And with only 43% of all stolen vehicles being recovered by police, according to Thatcham Research, it pays to arm your Range Rover with protection against keyless car theft. What can I do to protect my Range Rover? My Phantom App, which checks location, millage and battery voltage from the palm of your hand. The iTrack2OBD also provides OBD protection.By preventing potential tech-savvy car criminals from attacking your car’s OBD port, the iTrack2OBD immediately immobilises your vehicle if the OBD port is tampered with.